“What usernames are best for my social network profiles?”. This guide was written to help guide you on choosing a username or usernames for your brand or business. We highly recommend an alternate username be provided but it is not required. If you have seen our order form you may have noticed there as an option to supply an alternate username in addition to a primary username. Submitting an alternate username gives our social media techs a second chance to register your brand on any particular social network where your primary username is already taken. If you choose not to give an alternate username, and your primary username is already registered, we simply skip over that network in favor of the next highest ranking social network. We continue your username registrations until the number of profiles for your package is complete. ** If you do not desire an alternate username, simply enter the primary username into the alternate username field. If the alternate username is left blank, the form will return an error. It is common for our customers to be unfamiliar with the allowable formats for usernames on the hundreds of social networks in our catalog and often enter usernames that need improvement. KnowEm has been registering usernames for businesses and brands since 2007 and we have the experience to help guide you to choosing not only choosing optimal usernames but also how to create them with SEO and SMO strategies in mind. Since the format, length, and structure of usernames is completely up to the social network designers and programmers, these simple rules will always be acceptable. From experience, we can tell you the number of social networks that allow special characters such as dot (. ), dash (-), and other less common special characters are so few that planning to use special characters in usernames should be avoided. Avoiding them completely also allows for your usernames to be more consistent across your social network profiles. If your usernames are more than 15 characters, your usernames simply cannot be registered on social networks like Twitter and Pinterest (and a significant number of other popular social networks) because they are too long. 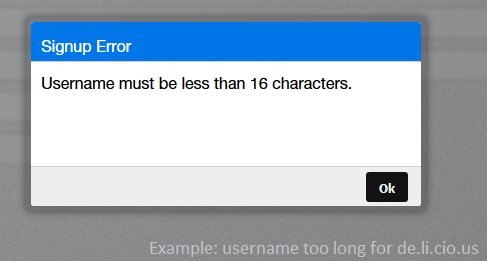 Be sure at least one of your usernames is 15 characters of less. Here is a list of ‘soft’ rules for usernames. While not restricted by site rules some can be problematic. Others are rules you may not be aware of or have considered to be a factor in choosing your username(s). – For example, if your primary username is SuperWidgetCo, you should avoid an alternate like SuperWidget1 or SuperWidget88. Unless the number has a particular significance, like in the next guideline below. – For Local SEO strategies you may want use a username with a zip code or area code like OilChange757 or TireStore10016. One possible drawback is that this can trip a social networks SPAM RULES since number at the end of a username are also considered to be ‘spammy’, as well as ‘poor format’ in general. – For example, usernames SuperWidget, SUPERWIDGET, and superwidget are considered to be the same username. While the capitalization entered into the registration form is typically preserved in a database, using different capitalization on username won’t make them unique. – … at least by some social networks. How a site decides is up to the site programmers. KnowEm accepts orders for usernames such as NewYorkSEO but cannot guarantee the profile will not be deleted, and is not covered by our customer satisfaction policy. – … especially for your profile visitors. For example, if your username is MinnesotaVikings (16 characters) and you want an alternate that meets the 15 character limit then use MinnesotaViking (remove the last ‘s’) rather than MinesotaVikings (remove an ‘n’ from Minnesota). Search engines will likely interpret ‘Minesota’ as a misspelling and typically auto-correct the default returned search results to help the user. This can lead to a loss of traffic to your profiles. * If you need help choosing your username, KnowEm can help! Shoot us an email to support@knowem.com and we will try our best to help you get a username. ** Remember to search for where your usernames are already in use! Using the FREE username public search engine on our homepage http://knowem.com will help you decide on a username based on its availability.